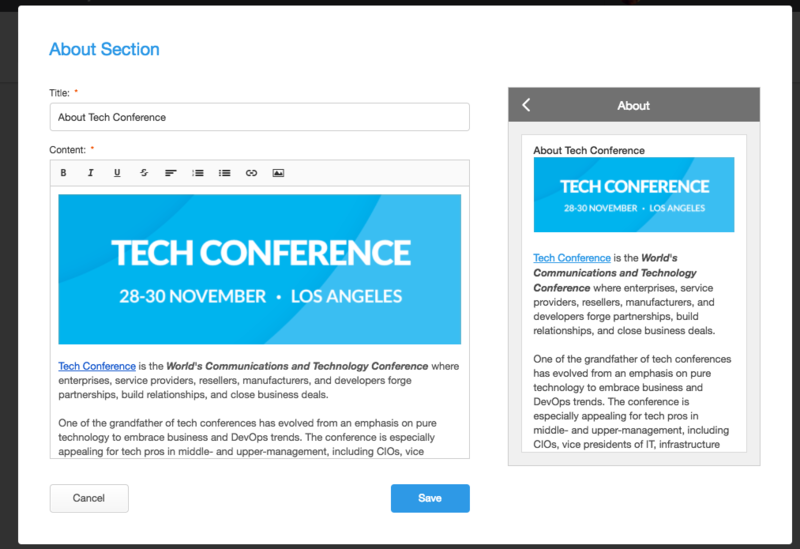 Set up an about section in your app to communicate updates, news, and other key info about your event. Need help? Email us at support@attendify.com and we'll be happy to help!